Rajasthan Prisons Recruitment 2018 - Apply Online for 670 Jail Prahari Posts in Rajasthan Prisons, Rajasthan. Online Applications are invited by Rajasthan Prisons Department from 26 Jul 2018 to 16 Aug 2018 till 11:55 PM and Written Examination to be held from September 2018 to October 2018 for 670 vacancies. Rajasthan Prisons Jail Prahari Final Result 2019: Rajasthan Prisons Department has announced the Result on 12 Feb 2019 for Rajasthan Prisons Department Jail Prahari Final Exam 2018 . 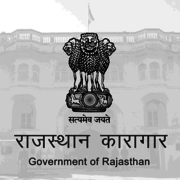 Rajasthan Prisons Jail Warder PET Admit Card 2019: Rajasthan Prisons Department has issued the Admit Card on 06 Jan 2019 for Rajasthan Prisons Department Jail Warder PET Exam which is scheduled to be held on 09 Jan 2019 to 19 Jan 2019. Rajasthan Prisons Jail Prahari Result 2018: Rajasthan Prisons Department has announced the Result on 24 Dec 2018 for Rajasthan Prison Jail Prahari Exam 2018 . Rajasthan Prisons Jail Prahari Answer Key 2018: Rajasthan Prisons Department has issued the Answer Key on 03 Dec 2018 for rajasthan-prisons-department Jail Prahari Exam 2018. Answer Key can be accessed from the link given below. Rajasthan Prisons Jail Prahari Re Exam Admit Card 2018: Rajasthan Prisons Department has issued the Admit Card on 26 Nov 2018 for Rajasthan Prisons Jail Prahari Re Exam 2018. Rajasthan Prisons Jail Prahari Admit Card 2018: Rajasthan Prisons Department has issued the Admit Card on 12 Oct 2018 for the exam which is scheduled to be held on 20 Oct 2018 to 30 Oct 2018. Pay the Examination Fee through Online and Pay Service Charge ₹25. 18 years to 26 years as on 01 Jan 2018. 10th class (Secondary) Pass from recognized Board. Eligible candidates may apply online at Rajasthan Prisons's website (direct link is given below) from 26th Jul 2018 to 16th Aug 2018 till 11:55 PM. Candidates log on to http://rajprisons.nic.in/.